Visit Bohol 2015:The biggest luxury resort in Bohol, Henann Resort Alona Beach will open this summer April 2015. Henann Resort is located in Alona Beach, Panglao Island, Bohol and has 6.5 hectare property. The luxury Henann resort has 400 rooms. 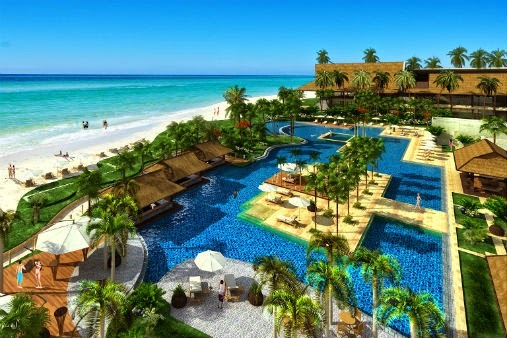 The resort will also feature famous Henann brands such as Kai Spa, Sea Breeze Cafe and Christina's restaurant, which are expected to open by the second quarter of the year. "We continue the Henann legacy of providing world-class accommodations and top-notch service. As the province celebrates ‘Visit Bohol 2015’, it is only fitting we formally open our doors to the public this year," said Dr. Henry Chusuey, Chairman of the Henann Group of Resorts, in a statement.